‪Marathon 3 in 50 (@aacr @philly_marathon) in my #50in50 for the Gweneviere Mann Foundation done! My buddy Ferdinand ran it with me. He ran NYC with me and will run a total of 12 of the 50 marathons. The next one Ferd will do with me is the Disney Marathon (Florida) in January. This was the 2nd time that I’ve run this race. The first time was years ago and I didn’t remember the route. It’s a fairly even course, except for around mile 8-11 as the elevation map shows. I saw the great Bill Rodgers and mayor of running Bart Yasso. And Boston Marathon champion Des Linden. I attended the Philadelphia Marathon press conference, saw Mitch Stoller of the American Association of Cancer Research speak and met him afterwards. Ferdinand and I finished in about 4:17. The Philadelphia medal incorporates a replica of the Liberty Bell that actually dings! On September 10th, I ran the Chasing the Unicorn marathon in Washington Crossing, PA. I just the day before, I ran the Charles River marathon in Boston, MA. I wasn't planning to do 2 marathons in September (or 1 weekend! 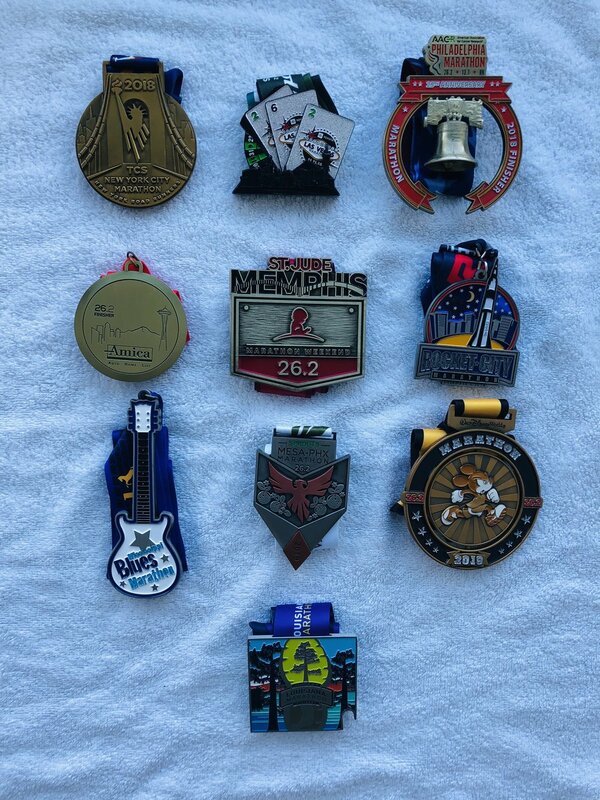 ), but my October plans were up in the air, so I had to fit in another one in September just in case, to make sure I fulfill my goal of running 12 marathons this year. Chasing the Unicorn is a fast course. The race takes place in Washington Crossing Historic Park, and consists of two loops of a path along the Delaware River. There were about 150 or so runners. It was a nice day, mostly clear with some clouds, and about 65 degrees. There were a good amount of aid stations with sports drinks and water. On one side of the path there was the Delaware River. On the other side, there was typically either farm fields or quiet neighborhoods. The path conditions were perfect, I like running on firm dirt paths. I liked these walking/bike path bridges that crossed the river. Although I was taking it easy since I ran a marathon just the day before, my time was actually faster for the second marathon of the weekend. The finisher medals are bold, colorful and heavy. 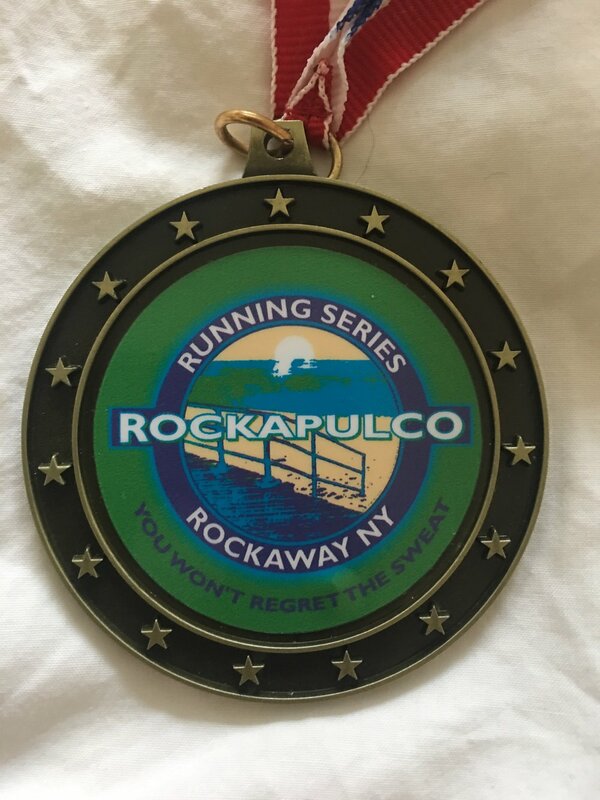 Overall, I loved this course and I recommend it if you are in the Northeast and looking for a fast, scenic September race. See http://www.runbucks.com/runbucks-races for more information on the race. 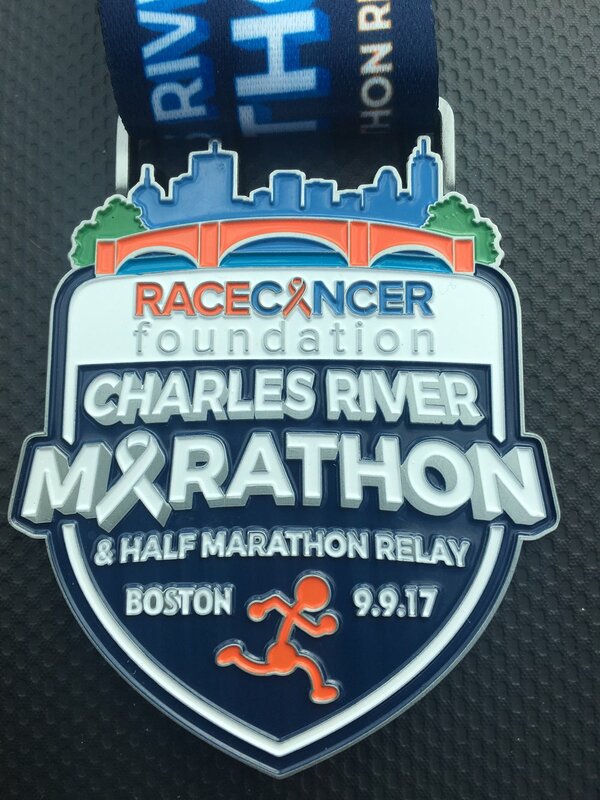 On Saturday, September 9, I ran the inaugural Charles River marathon in Boston, MA. What a great race with a partnership between RACE Cancer Foundation and the Pediatric Brain Tumor Foundation. The race started at 7:00am and there were around 300 runners. 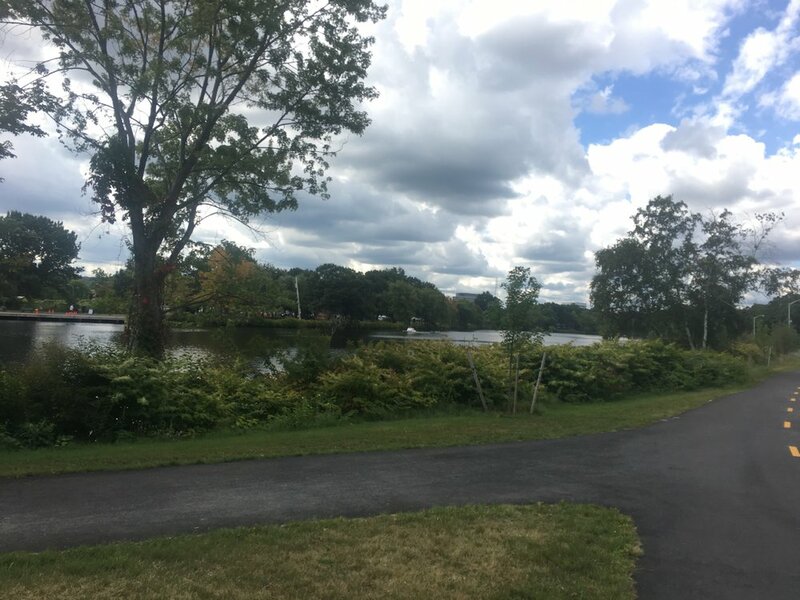 The marathon course is a flat 2.62 mile loop on park paths around Boston's scenic Charles River, starting and finishing at the Herter Park in Boston, MA. 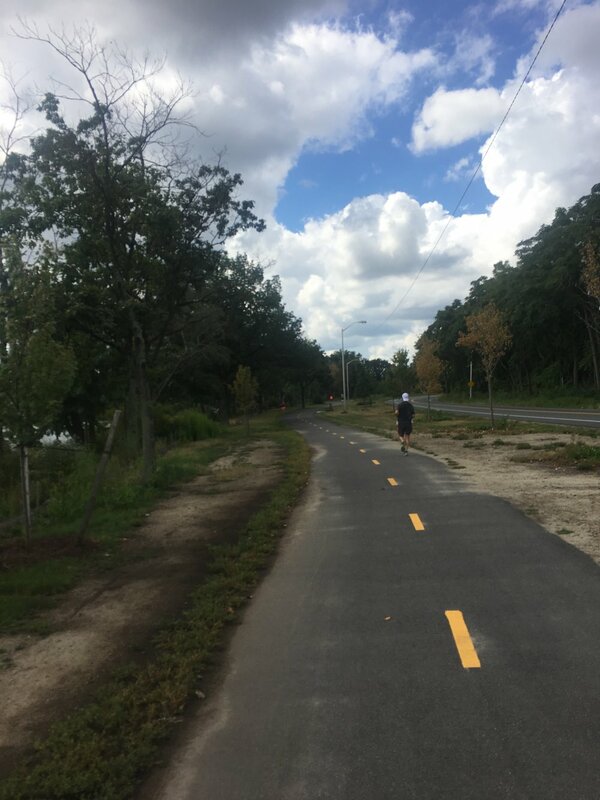 The course was mostly on walking trails along the Charles river. 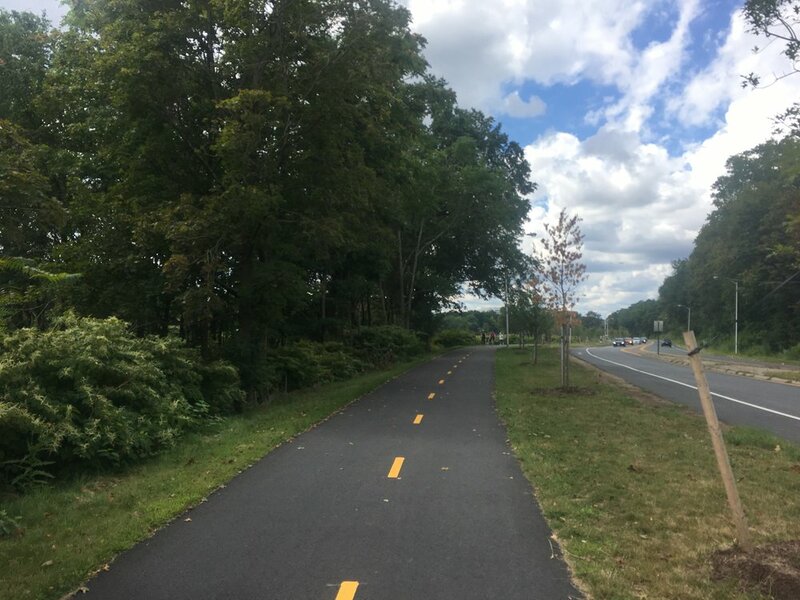 Occasionally, there were portions of the course on bike paths. There weren’t a lot of bikes out, probably because it was pretty early. There were plenty of volunteers manning the 2 aid stations on the course. One aid station was near the start/finish with had water, sport drink, and a variety of food (pretzels, swedish fish, bananas). The other aid station was around the 1.5 mile mark and had water and sport drink. The weather was great, just cool enough. 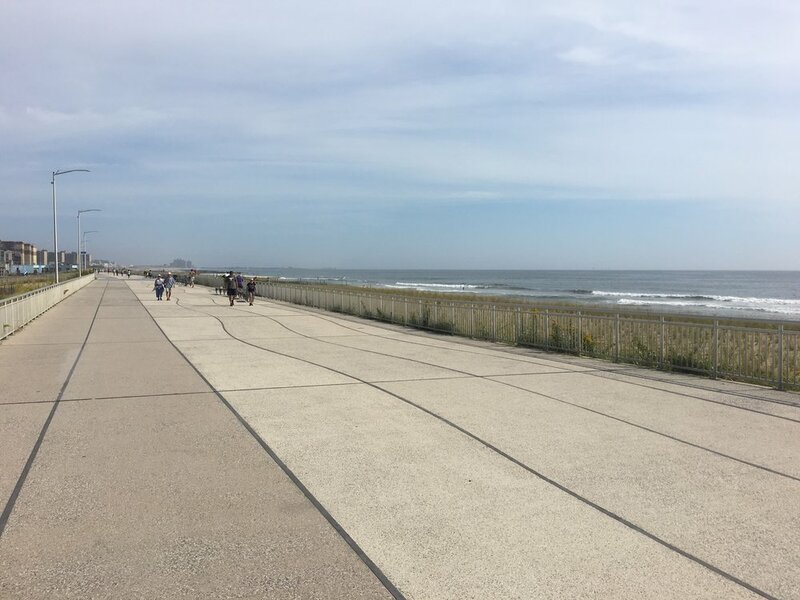 I ran my second fastest marathon ever that day - until I ran my October marathon (Rockaway Marathon in NYC). Full race report to come.